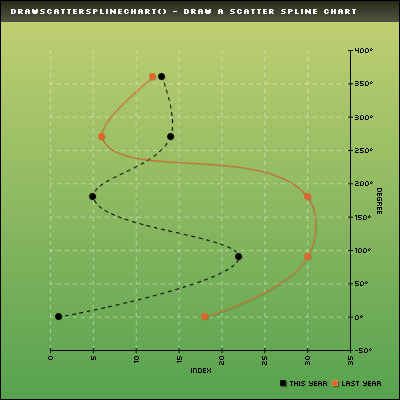 This function allows you to draw a scatter spline chart. All the drawing parameters are given trough a $Format array. To learn more about this please read the Format array guide. You can enable image map recording by setting RecordImageMap to TRUE.